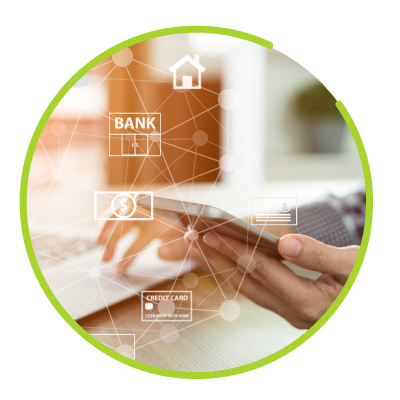 Our solution is complete, robust and effective for the administration and total control of all the Trade Finance operations that a bank required handle, maximizing productivity and drastically reducing operational risk. Our solution is very sophisticated but at the same time easy to handle, avoiding re-work and duplicity of capture, offering a full integration with the “CORE” of the bank. Mercury Bank Portal® has the ability to interface with all areas of the bank (risks, treasury, personal accounts, government agencies, customers CIF, G/L accounting, SWIFT, etc.). Additional, with our solution of added value, Mercury Filer®, the bank has total visibility of the operation from the start of the transaction, giving to the bank therefore, the complete information of the transaction, and allowing to offer to their customers the best payment solution and funding that customer may need. This robust module maximizes the productivity by automating all types of existing letters of credit, such as: operations at sight, term, Stand-by, Back to Back, transferable, assignment of proceeds, revolving, reimbursements, confirmed, unconfirmed, red clause, green clause, by acceptance, by payment, by negotiation, etc. The module facilitates all the relevant functionalities of the transaction, such as the issuance, amendment (and corrections), negotiation (including the documents examination), acceptance, payment, deferred payment, mixed payment, forfaiting, financing or Loan, the collection of deferred commissions, the accrual of interest and commissions, etc. Letters of Credit module is available for the export and import operations both, and related letters of credit with respective financing & loans, and steamship and air release guarantees, if any. Automatically generates and receives all messages from the family 700 SWIFT (mt7xx). The message is automatically overlaid in the operation and is available for review at any point. Our module allows the bank to send the SWIFT messages that it wants to share with their client automatically, as well as the confirmation advices, notifications, commissions and liquidations charges and, of course, the debits / credits for principal amounts or payments. The documentary letters of credit module provides all the necessary functionalities and operative validations, reduces mistakes across internal controls, increases productivity and provides all the managerial information needed by means of reports and inquiries online. Mercury Workflow® allows the banks to define their own internal workflows for the control of their operations of import and export with all their clients. It have a task manager that will optimize processes, maintaining all the information adjusted to the need for the type of user of the bank, and may distribute workloads based on various automatic or manual parameters. Mercury Document Manager® is the ultimate tool for managing both the negotiation of LC and any document that the bank want to include in it, associating each one of them with the corresponding event (issue, amendment, negotiating, payment, etc.) and at the same time having global visibility from the origin of the LC. It also allows associating and or consulting the documents you want, while maintaining the global vision from inquiry of the operation or event of the entire documentary archive. This service, of high added value, allows the bank to offer an excellent and exclusive service that keeps its clients faithful and to charge additional for it. Mercury Business Intelligence® It is the definitive generator of “reports and inquiries” for management of the documentary credits originated by their clients. The generation of statistical information and the distribution for business areas, turns out to be simple with this module: from simple inquiries of easy access up to managerial and executive reports. Mercury Messenger® permits a safe and continuous dialogue between the bank and the client that is associated to any documentary credit event, thus speeding up the entire resolution of the operations. This way, the bank is offering a completely agile and distinguishing service to their clients. In every moment of the dialog can include documents across the interconnection with Mercury Document Manager®. The bonds & guarantees module is a system of integral treatment and of management for all the types of international guarantees and bonds that exist, such as Bid Bond or Tender Bond, Bid Performance Bond, Advance Payment Bond, Retention Bond, Payment Guarantee, etc. With this module the bank has permanent control of the risks established by every client in each of the types of operations. The bonds & guarantees module automatically controls and handles the entire process of accounting and accrual of commissions. Among other functions, it includes those of accumulating and amortizing the generated commissions, identifying and marking all the operations that have commissions overdue and receivables, as well as those commissions that fall on non-working days to charge them before or after, according to the banks stipulations. The module allows the automatic recovery of the recurring fees, generating charges and credits to the respective G/L posting accounts and its interface with the DDA system of the bank to charge the client. It generates the commission charge advices, as well as the letters or statements to the clients. It allows defining the commissions charge in advance (discounting), at maturity or by periods of payment (weekly, biweekly, monthly, bi-monthly, semi-annual, annual, fixed, etc.) and the commissions invoicing. It lets perfectly to control operations without fixed or defined expiration date, providing alerts and information necessary for the proper control of the guarantee. Mercury Workflow® allows the banks to define their own internal workflows for the control of the bonds & guarantees with all their customers. It has a task manager that will optimize processes, keeping all information adjusted to the need for the type of user of the bank, being able to distribute workloads. Mercury Document Manager® is the ultimate tool of assistance to the management of the bonds & guarantees, enabling to scan and include any electronic document, by associating each one of them to the corresponding event and at the same time having global visibility from any query. Mercury Business Intelligence® is the definitive generator of “reports and inquiries” for management of the bonds & guarantees originated by their clients. The generation of statistical information and the distribution for business areas turns out to be simple with this module: from simple inquiries of easy access up to managerial and executive reports. Mercury Messenger® permits a safe and continuous dialogue between the bank and the client that is associated to any bond or guarantee event, thus speeding up the entire resolution of the operations. This way, the bank is offering a completely agile and distinguishing service to their clients. In every moment of the dialog can include documents across the interconnection with Mercury Document Manager®. The Stand-by LC module is a robust an integral system for the treatment and management for this type of operations. With this module the bank will have a permanent control on the risks established by every client in each types of operations. The Stand-by LC module automatically controls and handles the entire process of accounting and accrual of commissions. Among other functions, it includes those of accumulating and amortizing the generated commissions, identifying and marking all the operations that have commissions overdue and receivables, as well as those commissions that fall on non-working days to charge them before or after, according to the banks stipulations. The module allows the automatic recovery of the recurring fees, generating debits and credits to the respective G/L posting accounts and the interface to bank DDA system charging the customer. It generates the debit commission advices, as well as the letters or statements to the clients. It allows defining the commission charges in advance (discounted), at maturity or per period of payment (weekly, biweekly, monthly, bi-monthly, semi-annual, annual, fixed, etc.) and billing of such commissions. It lets perfectly control operations without fixed or defined expiration date, providing alerts and information necessary for the proper control of the Stand-by. It possesses an automatic process of “auto extension” of the validity (defined from the creation of the Stand-by) by means of alerts and follow-ups, as well as an exhaustive control of the necessary conditions to extend the future validity or to cancel it. Mercury Workflow® allows banks to define their own internal workflow for the control of the Stand-by with all their clients. It has a task manager that will optimize the processes, keeping all information adjusted to the need for the type of user of the bank, being able to distribute workloads. Mercury Document Manager® is the definitive tool of help to the management of the Stand-by, allowing to scan and include any electronic document, associating each of them to the corresponding event and having simultaneously global visibility from any inquiry. Mercury Business Intelligence® is the definitive generator of “reports and inquiries” for management of the Stand-by originated by their clients. The generation of statistical information and the distribution for areas of business turns out to be simple with this module: from simple inquiries of easy access up to managerial and executive reports. Mercury Messenger® permits a safe and continuous dialogue between the bank and the client that is associated to any Stand-by event, thus speeding up the entire resolution of the operations. This way, the bank is offering a completely agile and distinguishing service to their clients. In every moment of the dialog can include documents across the interconnection with Mercury Document Manager®. All types of collections from abroad are handled within this module: incoming, outgoing, clean, documentary and direct. Our module includes everything necessary so the bank can handle and administer, in a simple way, all the documents and / or drafts sent to collection, whether they are commercial or financial, and incorporate them into our document manager where they will be available throughout the entire process. Through this module the bank will have all the basic functions for the treatment of creation, acceptance, payment, protest, amendment, tracers, agendas, inquiries, reports, images, SWIFT messages and, in general, all the functionality necessary for a perfect and automatic control of the operations. Handle as well and in a differentiated manner, operations in which bank clients directly send documents to foreign importers (direct collection). It allows customers the submission of documents through various channels of communication through both, file and any other means of transmission (TSU, FileAct, etc. ), incorporating these automatically to the process of managing massive operations, where can set special conditions of payments (massive European collections), according to the agreements made with the various European banks. Allows requesting the funding or the discount of the operations, both total and partial, while maintaining the operational relationship and therefore facilitating payment and / or collection of them. It automatically generates and receives all the messages of the Swift 400 family (mt4xx). It offers a comprehensive treatment of several related documents (multi-document) collection, while maintaining overall control of the operation with all its drafts and allowing the management of the collection and individual settlement by draft / expiration. Mercury Workflow® allows banks to define their own internal workflow for the control of the collections with all their clients. It has a task manager that will optimize the processes, keeping all information adjusted to the need for the type of user of the bank, being able to distribute workloads. Mercury Document Manager® is the ultimate tool for the management of any document that you want to include in the collection, by associating each one of them to the corresponding event and simultaneously having global visibility from the origin of the collection. Mercury Business Intelligence® is the definitive generator of “reports and inquiries” for management of the collections of their importing and exporting clients. The generation of statistical information and the distribution for areas of business turns out to be simple with this module. Mercury Messenger® permits a safe and continuous dialogue between the bank and the client that is associated to any international collection event, thus speeding up the entire resolution of the operations. Each stage of the dialog may include documents through the interconnection with Mercury Document Manager®. With this, the bank is offering a fully agile service to its customers. Our financings and loans module is a powerful and effective tool to finance all the operations of Trade Finance for the importing / exporting clients of the bank. All with total control of maturities, through our events manager, that can perform previous simulations and, of course, transactions related to the operations of Trade Finance clients while keeping control over the risks at all times. Also, this module handles payments on multiple accounts and multi-currency. Allows to make the request for a reference to any interest rate (Libor, Euribor, etc.) or apply a fixed interest rate agreed upon. Facilitates the operational work anticipating the payments to expiration and, of course, automatically performs all accounting, both daily accrual and settlements. Mercury Workflow® allows banks to define their own internal workflow for the control of the financings with all their clients. It has a task manager that will optimize the processes, keeping all information adjusted to the need for the type of user of the bank. Mercury Document Manager® is the ultimate tool for the management of any document that you want to include in the loan, by associating each one of them to the corresponding event and simultaneously having global visibility from the origin of the financing or loan. Mercury Business Intelligence® It is the definitive generator of “reports and inquiries” for management of the financings of their clients and, associated, if it is wished, with the operation of Trade Finance. The generation of statistical information and the distribution for areas of business turns out to be simple with this module. Our powerful funds transfer module allows banks to handle the sending and receiving of funds from its customers, automatically processing Swift messaging for both, the customers and correspondents. (MT1xx and MT2xx). This module is fully adapted to process payments through the main clearinghouses, through its ease of interfacing with systems of the bank or directly. It adds the ability to carry out a treatment of massive payments and/or periodic, with one or several settlements and in different currencies if you want to. It incorporates the necessary controls to produce automatic credits to customers without manual intervention (Non-stop payment). This module is seamlessly integrated with the loans and financings module. Mercury Workflow® allows banks to define their own internal workflow for the control of the funds transfers with all their clients. It has a task manager that will optimize the processes, keeping all information adjusted to the need for the type of user of the bank. Mercury Document Manager® is the ultimate tool for the management of any document that you want to include in the funds transfer, by associating each one of them to the corresponding event and simultaneously having global visibility from the origin of the funds transfer. Mercury Business Intelligence® It is the definitive generator of “reports and inquiries” for management of the international payments and allows clients to have full independence in the information that the bank puts at your disposal on these operations. The generation of statistical information and the distribution for areas of business turns out to be simple with this module. Mercury Messenger® permits a safe and continuous dialogue between the bank and the client that is associated to any time of transaction thus speeding up the entire resolution of the operations.